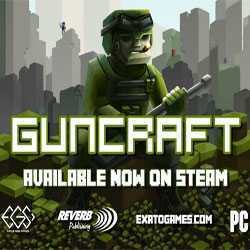 Guncraft is an Action game for PC published by Reverb Publishing in 2013. Are you ready to enter battle areas which are made of blocks? You can design your own maps to fight there with the other players or bots. You have to improve your shooting skills at first to be a great gunfighter.